Limited remote KNL Access: Want to test your codes on KNL? Sign up here! Requests for compute time of 4 hours or less will have priority. *Sign up for the TACC KNL tutorial on June 19! 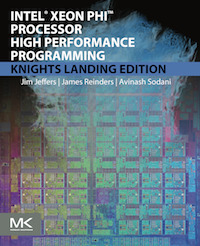 Get your copy of the new book "Intel Xeon Phi™Processor High Performance Programming - KNL Edition" in June at ISC (or pre-order online).